Christmas ‘Get Together’ with Transition Tynedale… and all who fancy joining us for a drink. Tasty mince pies, warm mulled wine and good company! 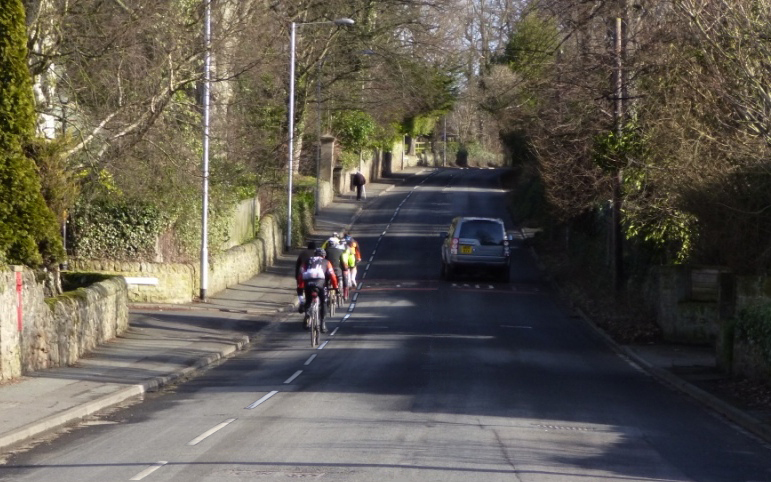 Sadly, there are influential people in Corbridge who successfully campaigned to have the remaining Advisory Cycle Lane on Newcastle Road east of Corbridge removed and the centre line reinstated to return the road to being vehicle dominant to the detriment of cyclists’ safety. And then boasted about it. The message this gives out from Corbridge is that the safety of vulnerable road users should not be considered over the convenience and habits of those local car drivers who don’t understand how cycle lanes work. 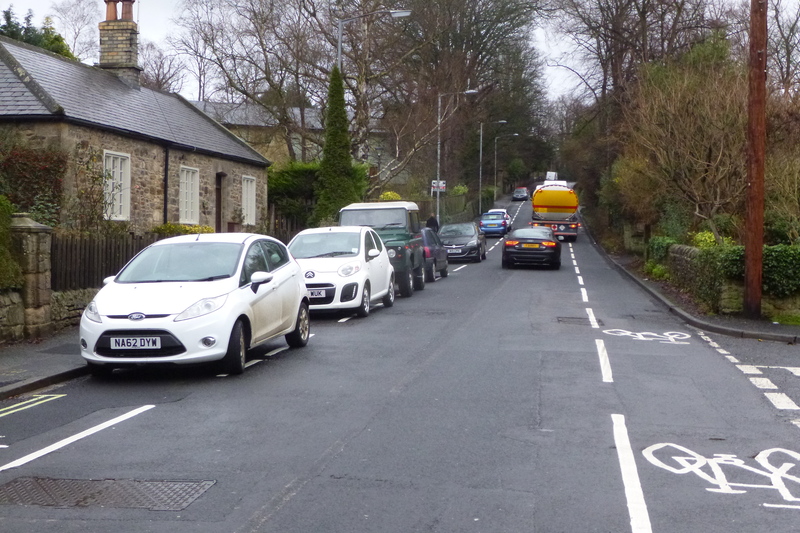 At least the inconsiderate road-side parking close to Corbridge has been removed which put cyclists at extra risk and pushed eastbound vehicles into the centre of the road. Most people living in seven British cities surveyed say cycling is a good thing and are far more supportive of bold and ambitious plans for cycling than decision-makers often think. They want dedicated space for people on bicycles even when this means taking space away from cars. Furthermore, People cycling in the seven cities take 111,564 cars off the road each day which if lined up, would equate to a 333 mile tailback – a distance greater than from Newcastle to Cardiff! Recycle Week is organised by the Waste and Resources Action Programme (WRAP). WRAP, a registered charity, works with businesses, individuals and communities to achieve a circular economy through helping them reduce waste, develop sustainable products and use resources in an efficient way. Take a look at the WRAP website at http://www.wrap.org.uk/, where there’s lots of interesting and hopefully inspiring info on WRAP’s 3 priority areas: electronics and electricals; clothing and textiles; food and drink. Come to a free talk by a well-known expert on growing veg in tight outdoor spaces. For a windy balcony or concrete yard, get all the best tips on nurturing your crop. Mark Ridsdill-Smith lives in Newcastle and has been featured in the Guardian. Donations are invited and all are welcome. Once you saw them – now you don’t. Gone from the south side entirely and double yellow lines should stop thoughtless parking which used to endanger cyclists’ lives and risk vehicle collisions. Time will tell if NCC has at last got the right balance. Hopefully a future post soon will be informative re the new cycle paths around the A68 roundabout east of Riding Mill. NCC have been asked to provide the rationale. Well maintained green spaces perform important functions which have an economic value, such as absorbing pollution, which provides people with clean air and reduces pressures on public services. These functions are known as ‘ecosystem services’. By understanding what an area of land is made up of, its quality, how it is managed, used and the functions it performs, we can better understand the value it provides to a local or wider area, to businesses, communities and society. Natural Capital Accounting is a recognised way of demonstrating this in physical and monetary terms. I hope everyone has seen and admired the window display along Battle Hill . Space was provided by Hexham Spaces and the display put up by Laura Hull, Kate Bramfitt and Sue Hick and runs until 10th march. Many thanks are due to them for a fine display illustrating the work we are doing . Hopefully it will attract more volunteers with more ideas to work towards our vision of a sustainable, thriving town ! If you know of anyone who would like to become involved then please invite them along to our meetings – all are welcome ! Transition Tynedale Limited will be holding their Annual General Meeting on Wednesday 8th February, 2017 at Scott’s Café, Forum Cinema, Hexham. This page explains the processes that we follow when electing our Directors, and Officers.